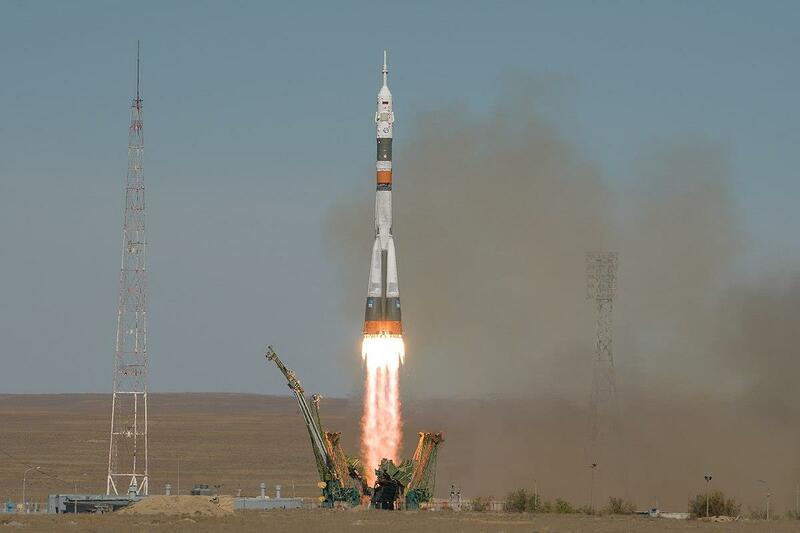 MOSCOW, March 28 (Xinhua) -- The United States asked Russia to postpone the launch of the Soyuz MS-13 to the International Space Station (ISS) for two weeks in order to increase the number of American astronauts at the station, Russian media reported Thursday. "The American side asked the Russian side to postpone the launch of the Soyuz MS-13 for two weeks -- from July 6 to 20, as well as to extend its flight for two months -- from December 2019 until February 2020," Sputnik news quoted a source in the Russian rocket and space industry as saying. The crew includes Russian astronaut Alexander Skvortsov, Italian astronaut Luka Parmitano and U.S. astronaut Andrew Morgan. The return of the ship from the ISS to the earth was previously planned for Dec. 18. The delay would allow NASA to ensure the presence of not only one but three astronauts in the U.S. segment of the space station until February 2020 in case of delays in testing new U.S. manned spacecraft, according to the source. The Soyuz MS-12 spacecraft successfully docked to the ISS on March 15 with a new crew. The current ISS crew comprises Russian astronaut and Commander Oleg Kononenko, Russian astronaut Alexey Ovchinin, Canadian astronaut David Saint-Jacques and U.S. astronauts Anne McClain, Nick Hague and Christina Koch.